SOMETIMES YOU SPOT a little bit of tipping encouragement which is enough to make you reach a little bit further into your pocket. A little bit of ‘counter intelligence’ if you will. Sources: Imgur, PopHangover, TopCultured, CaitlinsBestThingEver, FunLimited, DumpADay, EtagLive. Do you have a deadly tip jar where you work? Send us a pic to this fitting email address: tips@dailyedge.ie or tweet us @dailyedge. 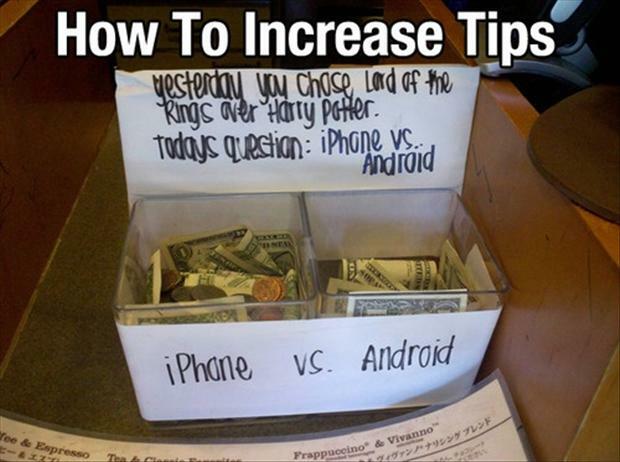 Email “11 of the best tip jars ever ”. Feedback on “11 of the best tip jars ever ”.